Here we are in the middle of August and I was expecting the weather to resemble India's weather... instead it is cool and in the mid to low 70's here in New York. Food of the World is enjoying a balmy stay in India this month. 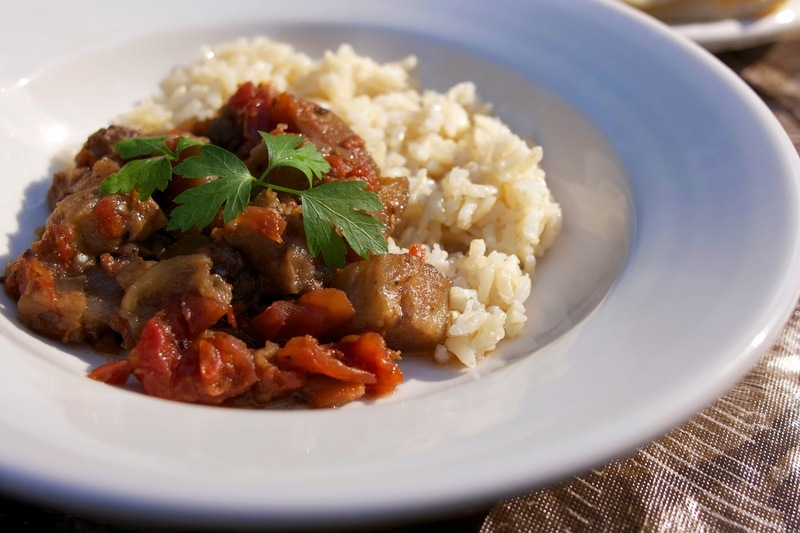 All the wonderful vegetables that are connected with India cooking are in season and I am still enjoying ways to use my crockpot in the summer. 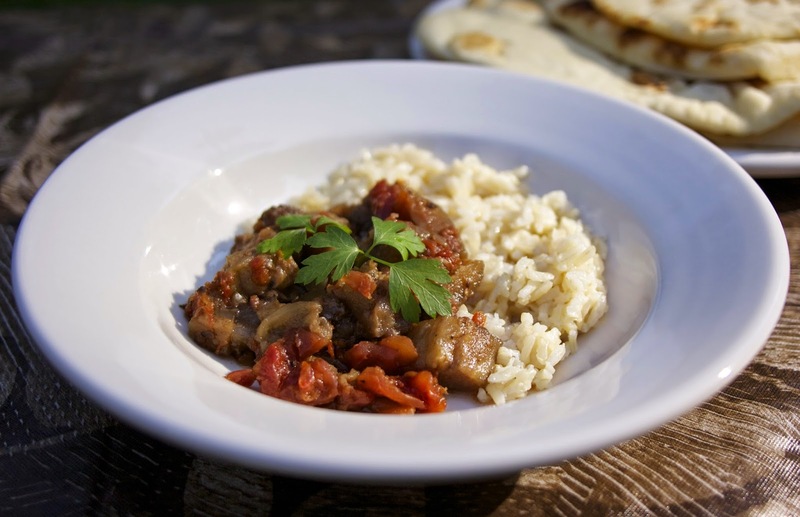 My Slow Cooker Indian Eggplant recipe is based on a traditional Northern Indian dish called Bhurtha. I simplified the seasoning using primarily Garam Masala to get the Indian flavor and of course, I threw it all in the slow cooker. The result was fantastic. 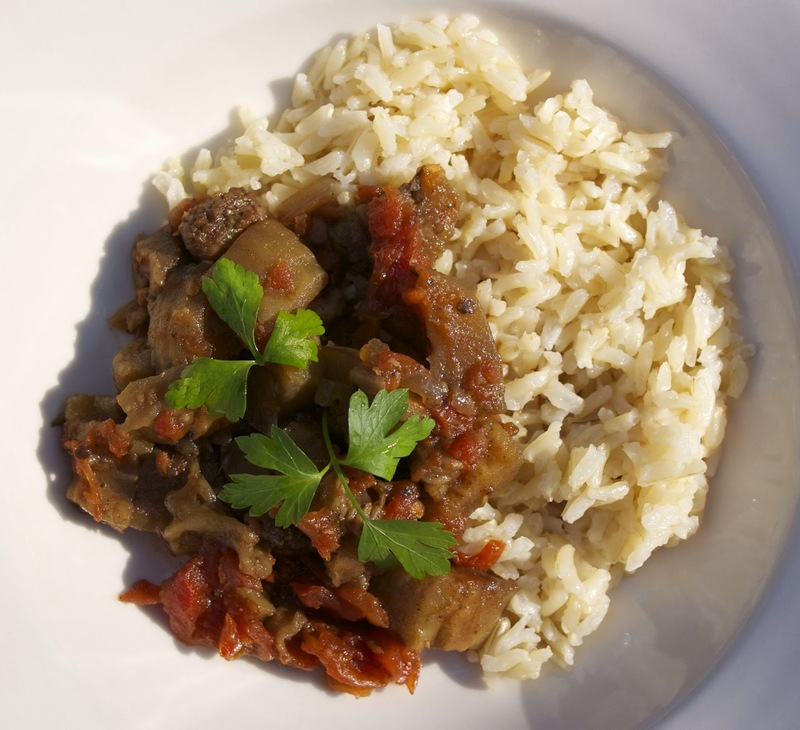 We enjoyed this dish served with Naan bread and basmati rice. Click around below to enjoy some more Indian dishes.. if you have any to share please hook them up to the party. 1) In a large bowl whisk together: EVOO, ginger, garlic, garam masala, cayenne and salt and pepper. 3) Put into the slow cooker onions on bottom with eggplant on top. 4) Pour seasoning tomato mixture over eggplant. 5) Cook on low for 6 to 8 hours or on high for 4 hours. 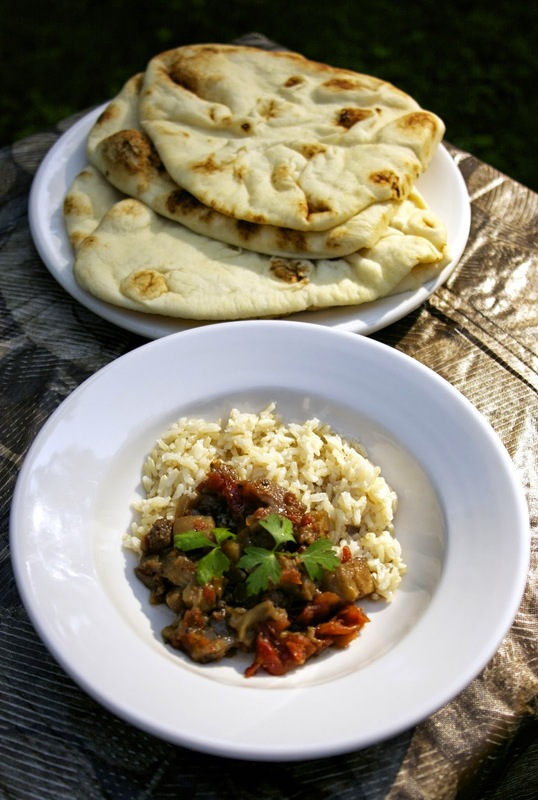 Serve with basmati rice, Naan bread, and plain yogurt. Please add your India recipes to the linky below and visit my co-host to see what they are cooking in India today. Your version of the Baigan Bhurtha looks really appetizing. I know it's not authentic... it is definitely for the novice Indian cook. I have really grown to love Indian food over the past year or so, and this sounds perfect. Eggplant is one of my favorite vegetables! Thanks so much for visiting my posts and your kind comments.